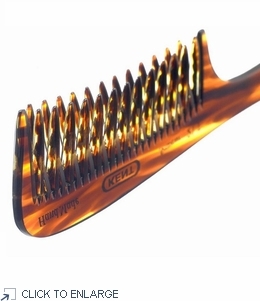 Kent Curved Double Row Detangling Comb - 200mm - 21T Simply fantastic: 200mm curved, double row, detangling comb. Ideal for tackling knots, and combing conditioner through hair. Simply fantastic: 200mm curved, double row, detangling comb. Ideal for tackling knots, and combing conditioner through hair.